Summer is the perfect excuse to eat popsicles and other frozen treats all day long. Hotter days mean hotter mornings, so why not start your day with a treat from the freezer? 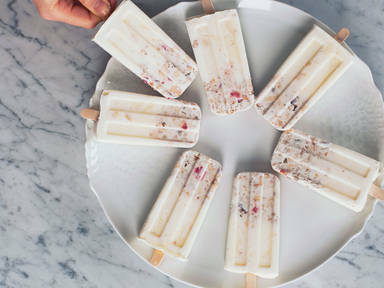 This popsicle is the equivalent of a bowl of yogurt and muesli, just frozen. And if you finish the first, only to realize you want a second, you can proceed to treat yourself to another with a clear, healthy conscience.